﻿ Kuta Sari House, Bali | FROM $12 - SAVE ON AGODA! "Good value, easy walk to beach/poppies lane etc." Have a question for Kuta Sari House? "The tv channel is quite good, wifi is good." "For the very small amount I paid I was impressed with my stay." 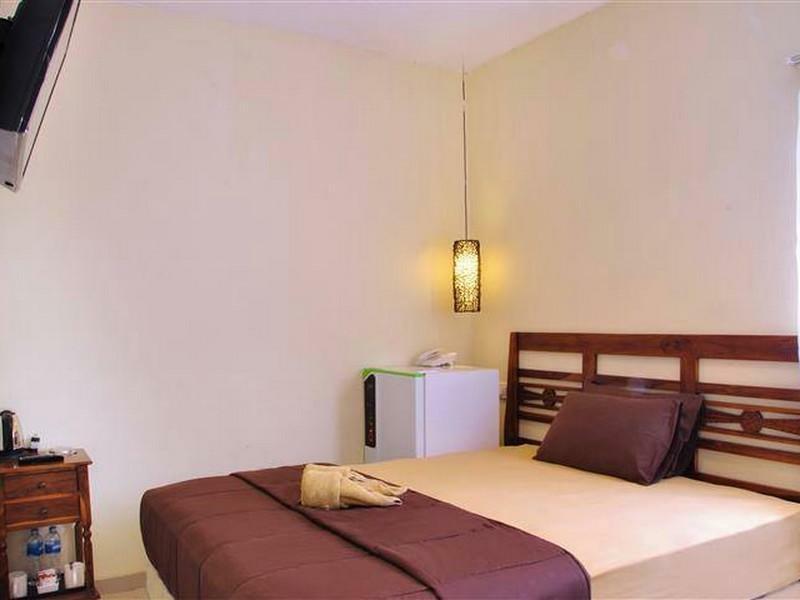 "It was very satisfying staying in Kuta Sari House." "The staff are friendly , it's a good location for breakfast..."
Your trip won't be complete until you reserve your stay at this 20-bedroom house in Kuta, Bali. This house is near Universo Beachwalk, Silverberry, Daun The Gift Shop, Supernova Shopping Centre, and Central Wave Painting. With a smoking area and a salon, it offers several convenient features to make your stay more comfortable. It features three floors and 20 bedrooms. If you want to spend the day relaxing and unwinding, visit the nearby massage facilities. With guided tours available, the house is the perfect place to stay to learn about the area. From a concierge to dry cleaning services, this house offers a range of useful services to ensure that you get the most out of your visit to Bali. There's free Wi-Fi in all rooms, as well as Wi-Fi in common areas, ensuring that you are always able to contact your friends and family back home without overspending on foreign data charges. The front desk is open around the clock, so there is always someone on call to answer any questions that you have. This house allows pets, so you can keep your dog at your side throughout your vacation. Check-in is offered from 02:00 PM and check-out is until 12:00 PM. This house provides a variety of transport options, such as bicycle rentals, car rentals, and airport transfers. Tegal Sari Bus Terminal is 7.7 km away and Bemo Gunung Agung Bus Terminal is 8.4 km away. The nearest airports are Ngurah Rai International Airport (DPS) and Lombok International Airport (LOP), which are located 3.1 km and 119.5 km away. This house offers express and 24-hour check in and check out, allowing you to conveniently choose the option that best suits you. "The hotel is good enough for such price." The hotel is good enough for such price. The tv channel is quite good, wifi is good. there is mineral water too. And there is minimarket beside hotel, but no 24 hours. 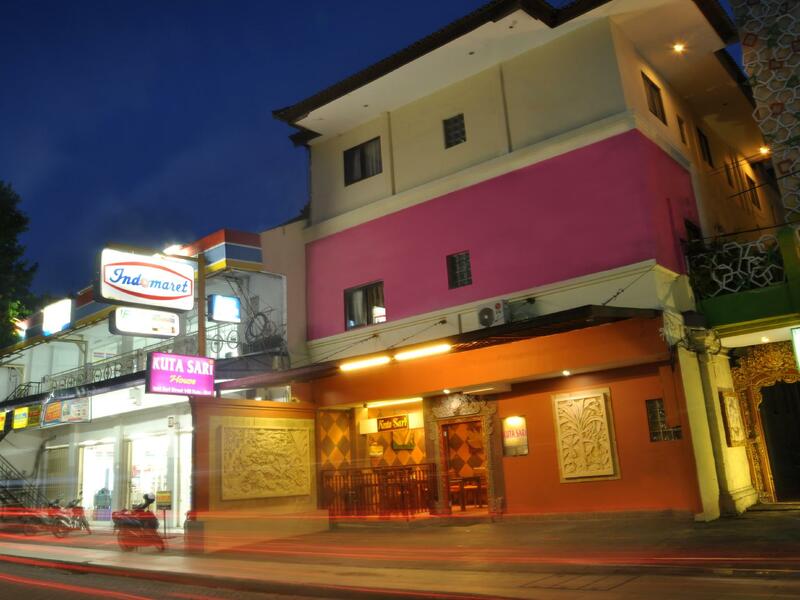 It's good to stay here if we want to take a walk in Kuta at night. The friendly staff, the comfiness and the location! Non of the things such as coffee making, desk, cable T V, telephone, toiletries, etc advertised were in the room or available. Basically just a bed with Indo only TV. Certainly did not get what I paid for. Good value, easy walk to beach/poppies lane etc. Near mini markets, not as noisy as the main strip, only problem is the extortionate fares to/from the airport which is only about 3km away. Locals pay about 20000 rupees - expect quotes of 200000 at the airport... (obviously nothing to do with the hotel though)! For the very small amount I paid I was impressed with my stay. Not as noisy as some have mentioned. Very central and fantastic, friendly staff. The room has a bed and a tv. Walls are scuffed but room still generally clean My room had an ensuite that was clean. All facilities worked well. I would certainly use this hotel again more as an in-between if I arrive late at night. But still good enough for the budget conscious to stay a bit longer. Thanks for the stay! Is a good stay there.We reached like 11am plus, only allowed to check in at 2pm, hence we deposit our luggage there first. There was always counter staff there. The room is just right for 2 of us. clean room, toilets. The location is around 15mins from airport, near to kuta beach, can walk to lots of eating places and massage. Overall, We loved our stay at there, thanks. Disaster. We stayed for 2 night. There are no water for every night. Only have water around 12am. No wifi in a room. We complaint in a first day. They said they will reset the router. STill the same, no wifi connection. On 2nd day we complaint again, they said already fixed. But still no wifi. The last night only have wifi in a room. After complaint for 3x. If I had the chance to go to Kuta again, I would stay here. Excellent value for money even if room was rather small and lighting was dim. A bit of a walk to the beach but the location is relatively safe and there are lots to see along the way. Staff was very accommodating. TV had many channels to choose from. Ask for comfy pillows to get a good night's sleep. It was effective for our budget, and well-suited for a place to stay for 1 night. Extremely basic but did the job. By the way, they insist on you paying for an extra 3rd person. So if 3 people arrive to check-in, be prepared to pay that nominal sum. Overall it is a good budget hotel. located near Kuta beach, just need to walk around 3-5 minutes. Clean room and new building, although the hotel is very small but my room is big enough for me to put 2 open luggage in my room. But, if you rent car, it's hard to park your car since it only fits for 2 cars. The staff are friendly , it's a good location for breakfast and checking around. clean room even though it a bit small..... It value for money.